Car accidents are no laughing matter. People can be injured in car accidents as pedestrians, bike riders, passengers, or drivers of other cars. The Centers for Disease Control and Prevention (CDC) reports 5,376 people were killed as pedestrians in traffic accidents in 2015. Additionally, nearly 129,000 pedestrians were injured in car crashes. Our car accident attorney serving Jenkintown and surrounding areas, has represented numerous clients that have been injured in a car accident whether they were the driver, passenger or even a pedestrian. It is the utmost importance of our law firm to get you the compensation you deserve so you can to living your life as you did before the incident. The trauma of a car crash can be compounded when the other driver leaves the scene of the accident without providing proper information, such as their identity, contact information, insurance information, etc. Many people think they are out of luck if they can’t identify the driver that hit them, and caused their injuries, or the death of a loved one. This is not true. A car accident attorney has investigators on staff who can review the evidence and determine if the driver can be identified and located. This is not something you should attempt to do on your own. Rather, leave the investigation to a car accident lawyer and their firm. When you are injured in an accident, the purpose of filing a suit is to attempt to return you to the position you were in before the accident. Consequently, the types of compensation you may be entitled to are specific to the facts and circumstances of your case. A personal injury attorney who has experience with car accidents is in the best position to discuss what compensation you may be entitled to. 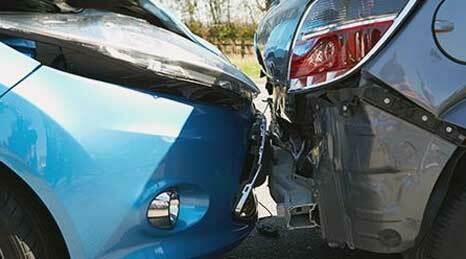 Of course, if the car accident caused a death, the family is entitled to compensation. If you have been injured in a car accident, or you have lost a loved one in a car accident, let our experienced car accident attorney serving the Jenkintown and surrounding areas take your case, while you focus on healing. Our consultations are always complimentary. We do not charge for our services unless we win your case.